Nurses know that working 9 to 5, Monday through Friday is not the norm in their industry. Healthcare is a 24/7/365 necessity, and for those who provide patient care in hospital settings, assigned hours can vary widely. Manageable Pace: Compared to the day shift, patient volumes are generally lower at night and you have fewer distractions and interruptions, not as many discharges to process, and fewer medications to administer. A slower pace gives you more time to spend with each patient and refine your clinical skills, and for this reason, the night shift can be a great choice for new nurses. Greater Autonomy: Similar to the point above, the opportunity to “do your own thing” and independently manage your workload presents itself more often when working nights as a nurse. Increased Camaraderie: Without the hustle and bustle of day shift teams, small night crews tend to have less office politics/drama and tighter interpersonal relationships. More Personal Time: Because you are leaving work when most of the world is clocking in, you avoid traffic on the roads as well as in stores by running your errands in the morning. No more long lines at the gas station on Friday afternoons! Higher Pay: Working nights is not a traditional choice (or even a possibility for some people), making this coverage constantly in demand. Consequently, wages are commonly higher for night shift nurses. Long Adjustment Period: Being awake all night disrupts the human body’s natural circadian rhythms. If you are not a night person or already accustomed to overnight hours, it could take at least a month for your body and mind to adjust. In the interim, you may spend your valuable days off catching up on sleep. Threat of Developing Unhealthy Habits: Being overtired combined with an askew circadian rhythm can lead to poor food choices and overeating. When you take your lunch break at 3 am, the only places open around you are likely fast food joints, gas stations, and the hospital vending machine. Turning to high levels of caffeine or smoking may also be tempting options to stay alert. Second-Hand Information: Since the majority of patients are admitted during the day, night shift nurses rely on reports and charts from the day shift nurses to understand patient statuses and what has transpired since admission. Relationship Strains: Sleeping when everyone else in your social circle is awake can make you feel like you are missing out. This is especially true for night shift nurses with children. Extra effort will be necessary to stay connected to your loved ones. 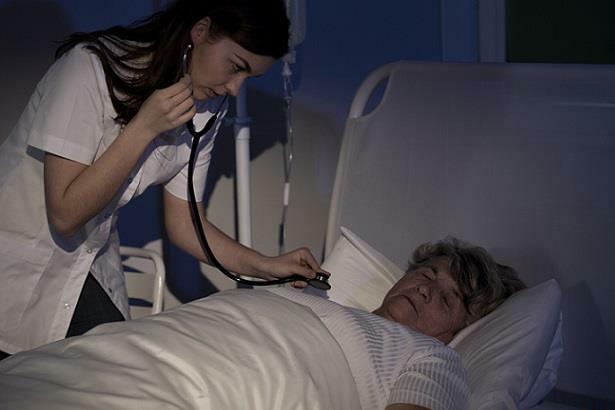 Feeling Invisible: Night shift nurses may perceive themselves as invisible or forgotten members of the healthcare team. Furthermore, without frequent interaction with administrators during the day, you may feel overlooked for promotions or other special opportunities. Sleeping Well: Stick to a strict sleep schedule and make your room as dark and quiet as possible. Ensure family and friends know your sleep schedule and to only contact you in the event of an emergency. Eating Right: Consume items that boost your energy, but not so much so that you crash halfway through the night. Nurses Without Borders suggests frequent “grazing” on high-protein, low-fat foods in small portions and avoiding refined sugars. Staying Alert & Active: During breaks, lulls, or times when you are feeling overly tired, use light exercise to fight fatigue and regain energy (walking around the parking lot or up and down the stairs, for example). Keeping Time: Wear a digital watch with a bright display. It may seem simple, but being able to check the time at any point while working nights as a nurse will help you stay on track as your body’s natural clock works against you. Getting Home Safely: Until you adjust, do not underestimate how tired you are at the end of your shift. Consider carpooling or using public transportation if possible. If you are at a dangerous level of fatigue, never risk driving yourself home. According to the National Sleep Foundation, commonly cited methods like rolling down the car windows or turning up the radio are not enough to prevent fatigue-related accidents. Working nights as a nurse offers opportunities as well as challenges. 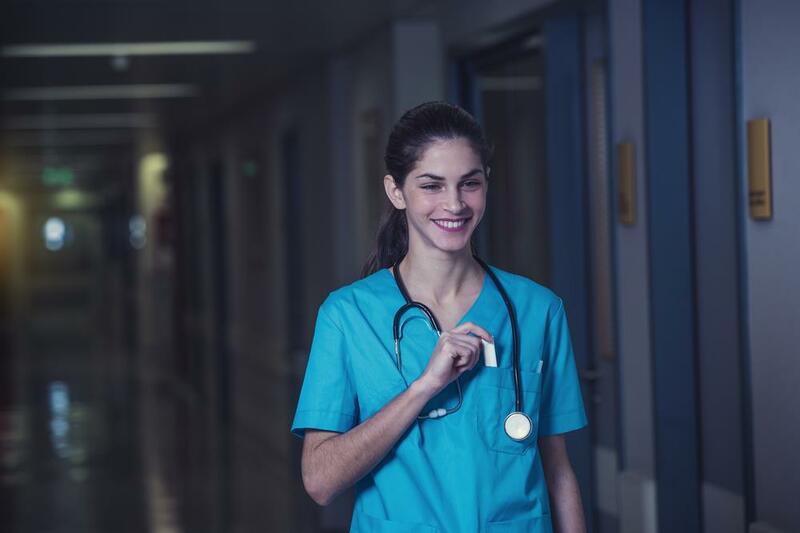 With a better understanding of the pros of night shift nursing as well as the cons of night shift nursing, you can be confident you’re making the right choice for your nursing career the next time you search for nursing jobs.